In today’s age of smartphones and tablets, it is not atypical that every person in the family has either one or both of them. Naturally, these devices need electricity to recharge themselves. With more such devices, more is the electricity consumption. If you are or have ever been in a state of quandary over your elevated electricity bill, then this solar charger might be the one for you. A couple of people working at Yolk, a solar design startup, have been working on a solar charger from January, which might prove to be as efficient as your wall charger, if not more. The Solar Paper, which is what Yolk is calling their charger, has three variants. They can contain either two, three or four panels with the capacity of 5W, 7.5W and 10W respectively. Yolk claims that the two panel charger which is of 5W each is capable of charging an iPhone 6 or a Galaxy S3 in 2.5 hours on a sunny day. Naturally, if you take the product with more number of panels, it would mean lesser charging time. All the user has to do is to connect the panels with the magnets on them. Connect their device to the main panel with the help of USB cable and they are good to go. The users can keep a track of the power left in the panels with the help of small LCD on the main panel which is a power indicator. Here are the few perks that the charger offers. As aforementioned, the magnets on the panel’s edge allow them to stick to each other. 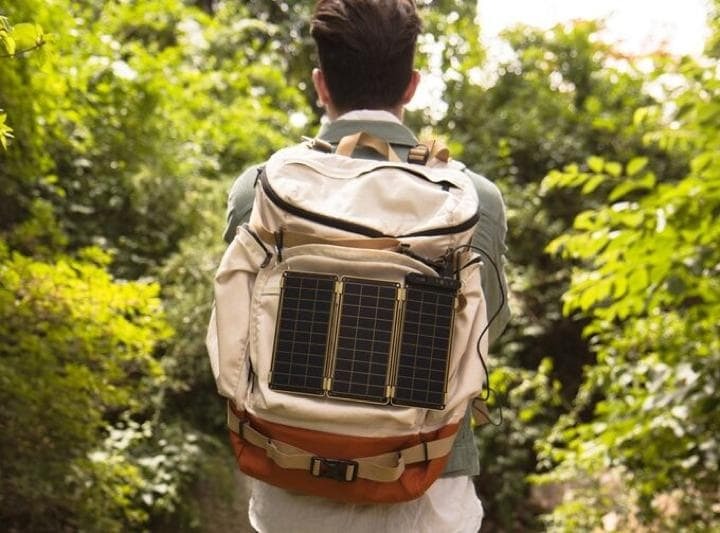 Not only that, the panels have holes in each corner and using these holes, the users can string their panels to even a backpack. It is well known that the smart devices stop charging if the current is too low. In order to resume the charging again, you have to replug the USB into the device. But that is not the case with Solar Paper. It monitors the energy level and automatically resumes powering without the need to replug again. That means that the users can be assured that if the available energy is enough then their device is surely being charged. Similarly, if its too sunny and power is more than required, the charger ensures that the device connected receives only the required power. A solar charger for the phones and other devices isn’t unheard of. Couple of them are already in the market. But the problem with them is that they are bulky and are very inefficient. But Solar Paper is small and thin enough to cosily fit between the papers of your book. As per Yolk, Solar Paper is 85 percent smaller and 75 percent lighter than its nearest competitor. Let’s just hope that it is more efficient and lighter on the pockets as compared to its adversaries.